So as we begin this quest you go to Mildun in The City of Junon Polis to start this quest. Mildun sends you off to Mairard in the Adventurer's Plains to learn the history of Carts and makes you take a one (1) question quiz to pass. Answer his question correctly and he tells you who to go see next! DO NOT CLICK THE SPOILERS IF YOU DO NOT WANT THE ANSWERS! Question: Who invented the Mana Engine? Mairard then sends you off to Luce in Kenji Beach. If you do not already know that you can use the ship to get there quicker, here is me informing you that you can! For a measly 6,000 zulie Peron will take you to Kenji Beach. So you make it to Luce, who is on a dock, but not the one the ship brought you to. He teaches you about the Cart Parts so you know how to fix them later on when it breaks down. To test that you weren't dozing off during the lesson he asks you a simple question! Question: When you combine each part of a Cart, which part must you start with? Return to Mildun, in The City of Junon Polis. He explains that you need to beat Fighter Clowns until they bury any evidence of his involvement for him and you. Go to Forest of Wisdom. Any of the Fighter Clowns around the Giant Tree should bury the scrolls for you, it will likely take a lot of time to get all three buried unless you are really lucky. Return to Mildun and promise you will never tell anyone that he helped you. 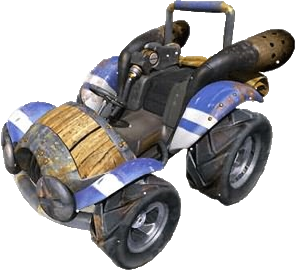 He will now reward you with the Drive Cart Skill. Now for those that need help with things! Where are my Cart Parts located? In your inventory you may have noticed the PAT tab at the top next to Avatar and Costume. Why can't I equip all the parts? After equipping the Body, it has an invisible 'cool down' give it like 30 seconds or a minute and you should be able to equip the rest. My Cart won't let me use it after doing the quest and equipping it! Log out and back in and it should work. Now More information to blow your mind! Item Mall Engines do not use up Fuel. Normal ones, which include Npc, Crafted, and Event ones, will consume Fuel. Where do I get more Fuel? There are few NPC's around that sell it. Xita Refuge - Haven't found one. Desert City of Muris - Haven't found one. Edited by Zurn, 15 October 2014 - 06:15 AM.